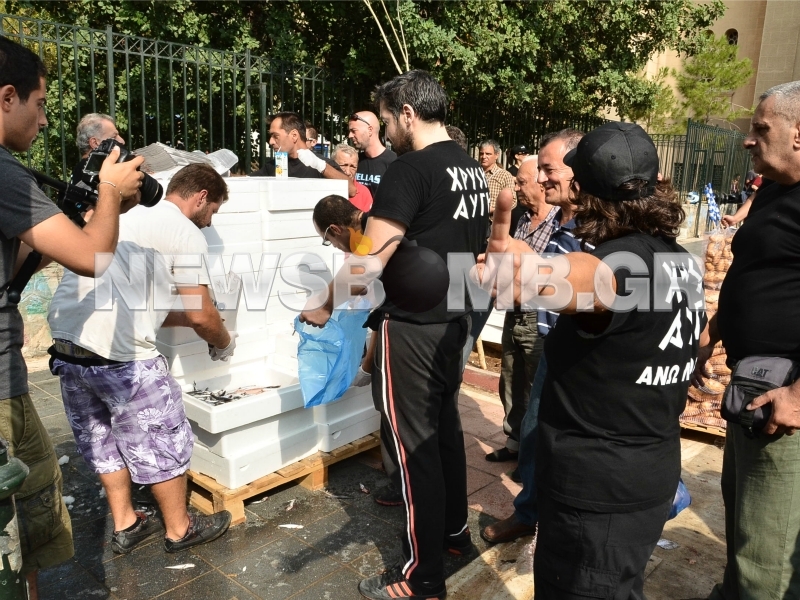 Members of the neo-Nazi Golden Dawn party organized food delivery only to indigent Greeks at Aghios Panteleimonas (Athens centre) on September 14th, 2012. Greek citizens who received food from Golden Dawn were asked to provide full contact details. 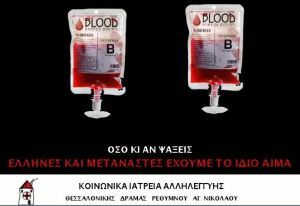 In addition, Golden Dawn members organized a Greek-only blood bank in several cities, in which only Greeks could offer their blood [1, 2 & 3]. 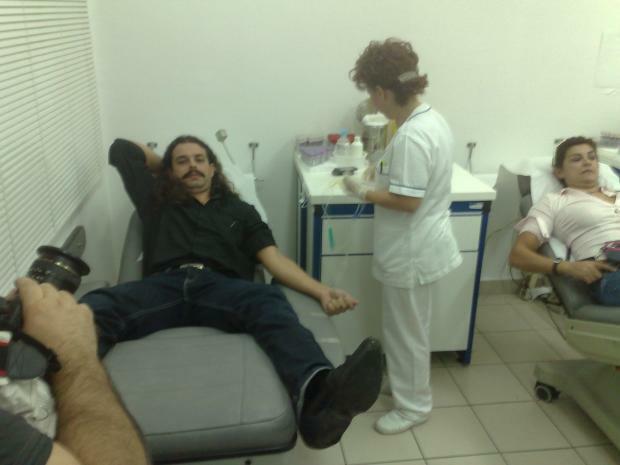 During these events, Golden Dawn's MP, Elias Panagiotaros turned out an old foreign woman who asked for food (see video). The MP told the woman to ask food from Syriza, the left-wing party in opposition . 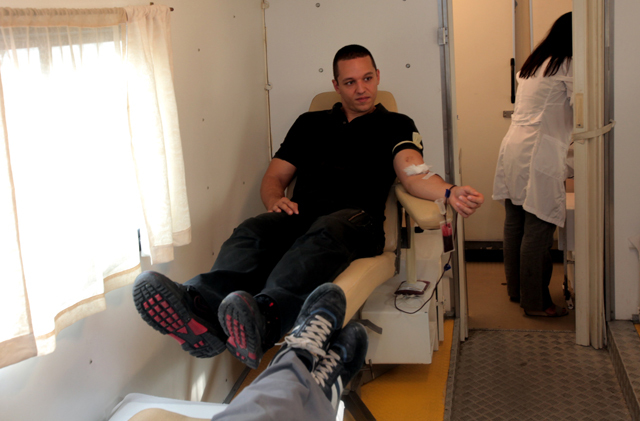 Doctors throughout Greece expressed their opposition to the Greek-only blood donation in Athens and Thessaloniki. The Federation of Greek Hospital Doctors (Ομοσπονδία Ενώσεων Νοσοκομειακών Γιατρών Ελλάδας/ΟΕΝΓΕ) and the Association of Hospital Doctors of Thessaloniki (Ένωση Νοσοκομειακών Ιατρών Θεσσαλονίκης/ΕΝΙΘ) asked the cancellation of the blood donations and invited doctors to deny their participation to them. Both associations describe repulsive these blood donations that run on the basis of racial discrimination and segregation . 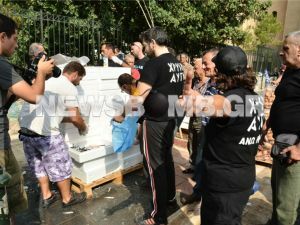 Newsbomb, 14.09.2012, Χρυσή Αυγή: Αιμοδοσία και διανομή τροφίμων με «φακέλωμα» (Golden Dawn: Blood donation and delivery food with "data collection"), http://www.newsbomb.gr/koinwnia/story/234414/hrysi-aygi-aimodosia-kai-dianomi-trofimon-me-fakeloma, Accessed on 14.09.2012. The Best news, 14.09.2012, Αγρίνιο: Υπό την προστασία των ΜΑΤ η αιμοδοσία της Χρυσής Αυγής (Agrinio: Golden Dawn's nlood donationa under police protection), http://www.thebest.gr/news/index/viewStory/147640, Accessed on 14.09.2012. 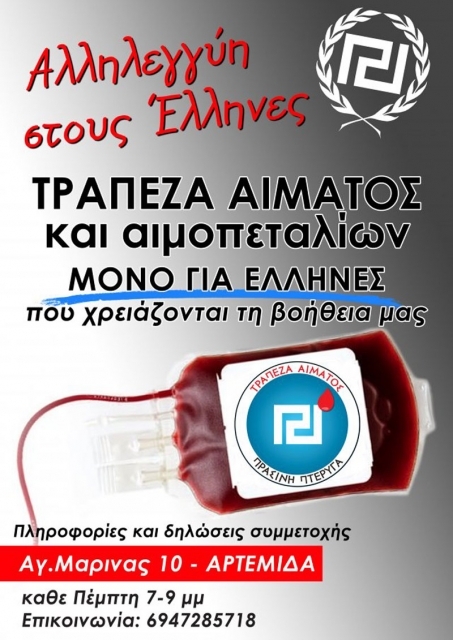 Golden Dawn Press Release, 14.09.2012, Πανελλήνια αιμοδοσία Χρυσής Αυγής και διανομή τροφίμων στον Άγιο Παντελεήμονα (Nationwide Golden Dawn's blood donation and food delivery in Aghios Panteleimonas), http://www.xryshaygh.com/index.php/deltiatypou/view/panellhnia-aimodosia-chrushs-aughs-kai-dianomh-trofimwn-ston-agio-pantelehm, Accessed on 14.09.2012. Newsbomb, 14.09.2012, Χρυσή Αυγή: Έδιωξε ηλικιωμένη αλλοδαπή που ζήτησε φαγητό (Golden Dawn: He turned out an old foreign woman who asked for food), http://www.newsbomb.gr/koinwnia/story/234432/hrysi-aygi-edioxe-ilikiomeni-allodapi-poy-zitise-fagito, Accessed on 14.09.2012. 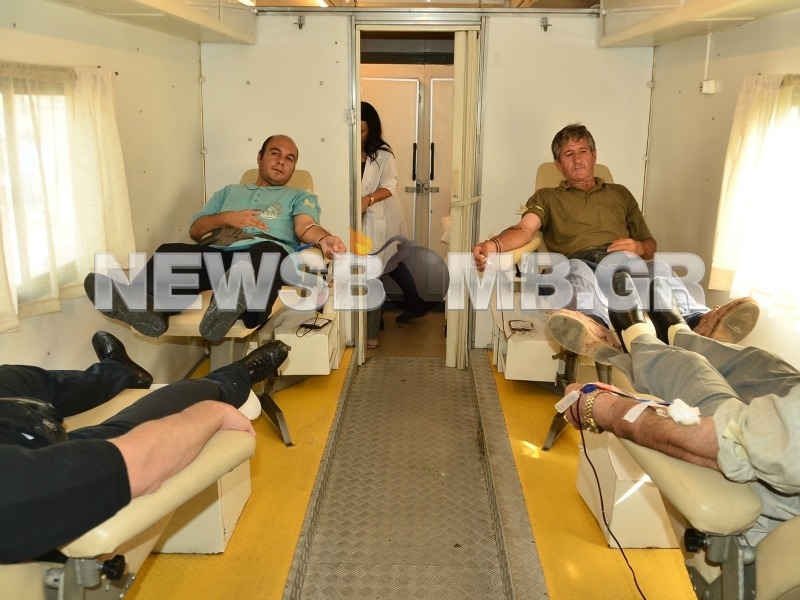 Lifo, 14.09.2012, Αντιδράσεις των γιατρών στην αιμοδοσία «μόνο για Έλληνες» της Χρυσής Αυγής (Doctors' opposition to Golden Dawn's blood donation "for Greeks only"), http://www.lifo.gr/now/society/15975, Accessed on 14.09.2012.